Head to your library or gallery for fun activities this Easter! Loads of fun and entertainment is on offer during the Easter break, thanks to Gympie Regional Council’s library and gallery school holiday programs. 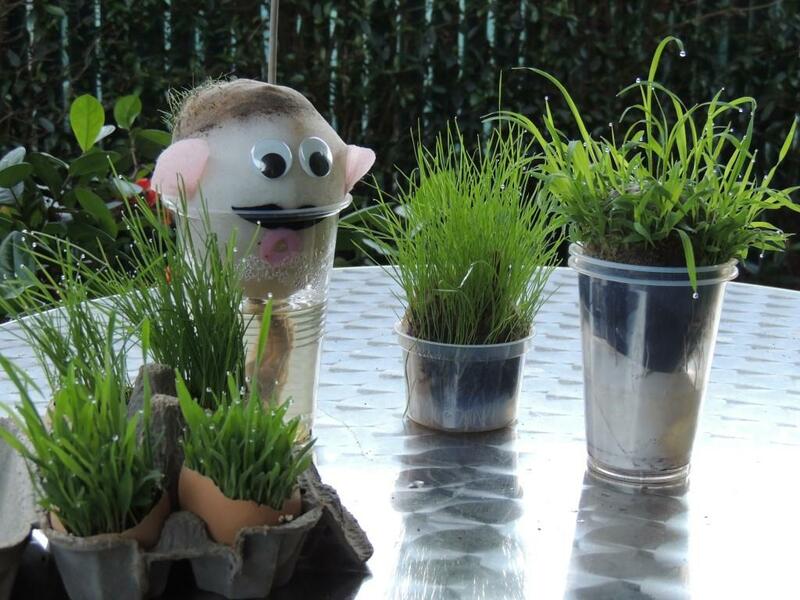 Social Wellbeing Portfolio Councillor, Cr Rae Gâté, said activities ranged from growing grassy heads at the region’s libraries through to creating Funny Face Foto Frames at the Gympie Regional Gallery. “Council’s holiday programs provide children with a great opportunity to have fun, learn new things and meet other children outside of the school environment,” Cr Gâté said. “The activities also expose children to public resources like our libraries and regional gallery, and the important role they play as community hubs. Rainbow Beach Library: Wednesday 10 from April 2.30–3.30pm. Book now to learn cartooning skills from well-known author and cartoonist Cartoon Dave. The Cartooning Workshop will be held at the Gympie Library on Friday 5 April from 10.30–11:30am. Bookings essential. Phone the library on 5481 0859. A great prize is on offer as part of the Gympie Library’s Lego Competition on Thursday 11 April from 10.30am to 12noon. Children will be invited to ‘race the clock’, with one hour to build a construction of your choice. Bookings: phone 5481 0859. Visit any branch of your library up until 10 April to take part in this fun, interactive activity. Download SCVNGR to your iPhone or android and start the challenge. Complete 5 easy library challenges, fill out an entry form and claim your ‘bag of goodies’. Each entry goes in the draw to win a $50 iTunes, courtesy of the Friends of Gympie Regional Libraries Inc. Inspired by the Gympie Region Heritage Trails, Gympie Regional Gallery’s creative workshops cover topics such as colourful painting, drawing architecture, cartooning, name signs, illusion sculpture, printing and Funny Face Foto Frames. Funny Face Foto Frames for ages 7-12 – Friday 12 April from 1-3pm. For more information, download a gallery holiday program brochure from www.gympie.qld.gov.au/gallery, pick-up a copy from the gallery at 39 Nash Street or from the region’s libraries, or call 5481 0733. Workshops fill fast, so book early. Payments required in advance. Photo : Jessica Thompson.jpg: Jessica Thompson makes an ‘under the sea’ sculpture at a recent holiday workshop at the Gympie Regional Gallery.